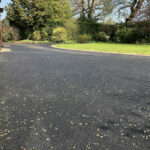 Here at Simons Landscaping we have recently published a blog on a tarmac renovation job that we have completed. The blog will take you from start to finish on how we completed the works. 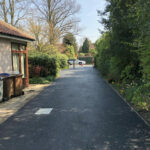 As leading landscape gardeners and garden designers in Norwich, Norfolk, Suffolk and Cambridgeshire, Simon’s Landscaping has a reputation for quality, service and experience second to none. Whether your garden design requirements are for hard landscaping (such as brick-weave, asphalt, stone and gravel driveways) or for soft landscaping (such as turfing and tree planting) the range of projects we have undertaken since 1980 is very wide – both in the domestic and commercial spheres. You’ll see examples of these in the Landscaping Services section, along with testimonials from satisfied clients. However large or small your garden landscaping project requirements are – you can be sure we will provide you with the highest level of customer service throughout the process.